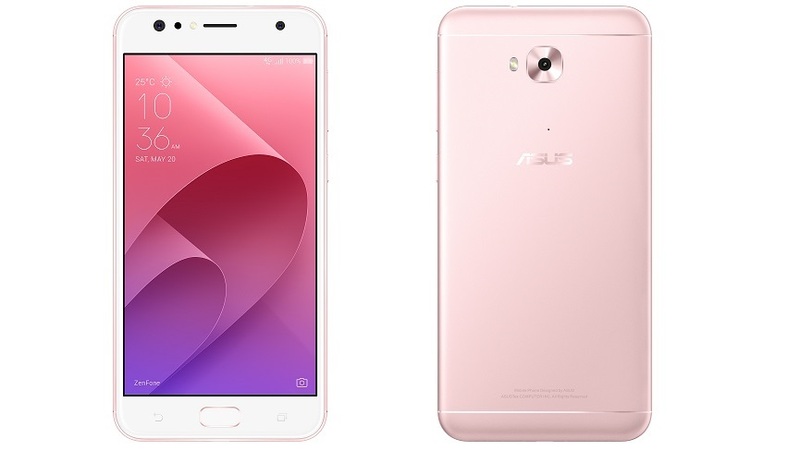 Few months back Asus launched “Zenfone 4 Selfie Dual Cam” under selfie series for selfie enthusiasts in India for a price of INR 14999/-. This phone targets all selfie lovers in this price segment as it comes with dual front camera with LED flash. This smartphone is available exclusively on flipkart. In this post let’s find how good is this phone. It comes with dual camera setup (20 MP+ 8 MP) on front for selfie lovers with LED flash. One of the camera sensor on front is regular, while another is wide angle camera sensor to click group selfie. Quality of picture clicked with selfie camera are very good. These images have more natural colors, good details etc, but few images clicked in bright areas are little bit over exposed. It comes with intelligent mode, which helps in giving few makeup effect to the faces in selfie. Back camera sensor of the phone is of 16 MP and comes with LED flash. It also have few additional features like Auto mode with low light and HDR features, Beauty, Portrait, Pro mode for 32 seconds long exposure, Super Resolution for 64 megapixels photos etc. It also comes with an additional app called selfie master, which have beauty scale for selfie. We can also shoot videos, create a collage or we can go live with BeautyLive feature. Indoor shots with camera are very good with less noise in images. Soft flash is very good to give good effects in low light condition. Best part of camera is red eye reduction. It has 5.5 inch HD IPS LCD display, where resolution is 720×1280 pixels. This display comes with protection of 2.5D contour corning gorilla glass 4. It produces good colors and brightness. Viewing angles of the display is also very good, hence we can share display for watching video in group. Design of this phone is similar to other Asus phones. It comes with Metal finish at back and gives very good feel in hand. Look wise phone is decent as it follows symmetric design on front and back. Thickness of the phone is 7.9 mm while it weights 144 gm only. It comes with power of QUALCOMM’s Snapdragon 430 octa-core processor. This octa-core unit is clubbed with 4 GB RAM and 64 GB internal memory, which is further expandable up to 2 TB via micro SD card. Performance of the phone is smooth with moderate uses. I played lot of games with high graphic setting, here it managed all games smoothly, but few frame drops were found N.O.V.A. 3. This mobile is running on Android 7.1.1 Nougat operating system along with ZenUI 4.0 on top of it. This user interface with ZenUI 4.0 is made too lite by removing all third party apps. New ZenUI is lighter and faster compare to ZenUI 3.0. Asus promised that all phones under Zenfone 4 series will get Android 8.0 Oreo update soon, which is good for users. One thing we should notice that ZenUI is highly integrated over Android, here updates does not makes much difference in user interface and user experience. Zenfone 4 Selfie Dual Cam is backed by 3000 mAh non removable battery. This does not comes with support of fast charging, hence you need compromise with battery charge time. With moderate uses phone will give you whole day backup. Fingerprint of this phone is mount on front over home button. I found that response of this fingerprint is not too fast. Accuracy of this fingerprint is very good but takes some time to unlock after tap.